Its facial time again! How often you go for facial at the professional salon? Once a week, every forthnightly, once a month or never… Actually it will be good if you could go for facial once a week or at least every forthnightly. As for me I try to keep it every forthnightly. Last week I went to Menard Facial Salon at Plaza Damas for my facial. It’s my ‘me’ time for relaxation and pampering. The salon is tuck away in a quiet and serene level 1 at Plaza Damas. I was greeted by the friendly and gentle Menard beauty advisor, Ms. Jasmine. First and foremost, we started with the skin consultation which skin care that would suitable for my skin type. I am using Menard Lisciare range to give skin firmness and suppleness by increasing the moisture density of the skin cell. Lisciare with Love-in-a-Mist Extract makes the skin elastic by suppressing the increase of “firmness-reducing substances” and “12 varieties of oriental plant extracts” make the skin brighter and more radiant. Lisciare is an italian word means to polish up. Another unique feature of Menard facial salon is they are using regular packing product for all types of facial; unlike others using the salon packing products. 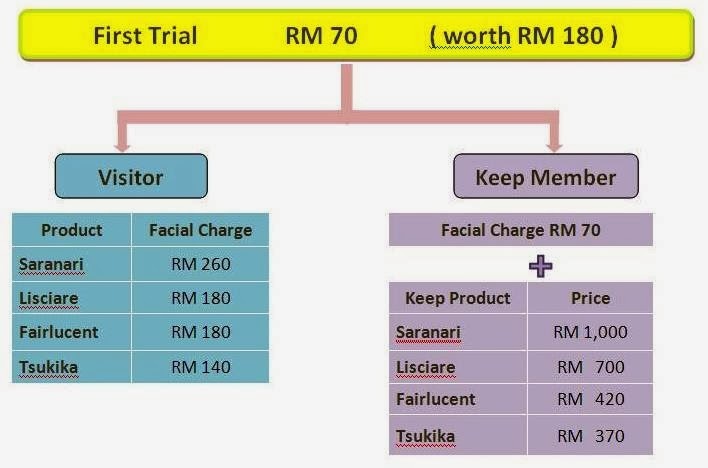 In order to encourage customer to visit them regularly preferably 2 weeks once; they offer a unique package deal called “keep system” for customer to purchase products and keep them at the salon. They called the customers who keep products as “keep member”. By keeping products at the salon customer will be more committed to visit facial salon on a regular basis and it would help beauty advisor to have a better follow-up to make sure customers getting better result. The salon environment is very cozy and privacy is assured. 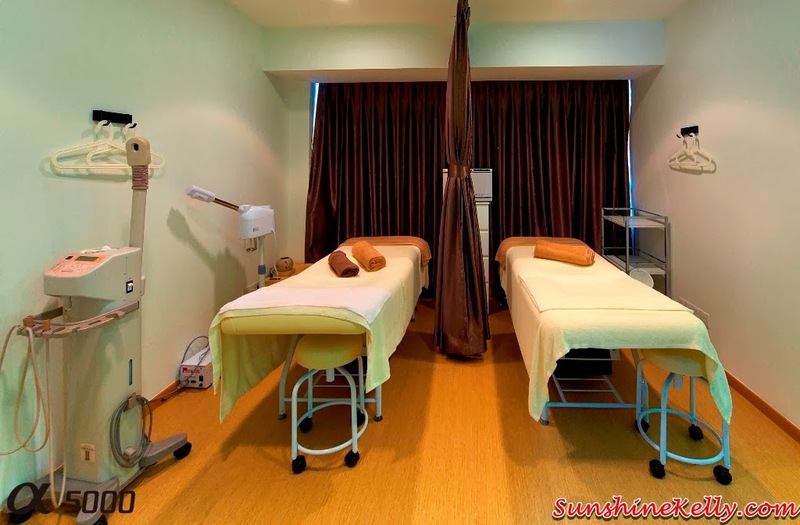 There are two main facial rooms and also a touch up room for customer to touch up hair and makeup after their facial. The uniqueness of Menard facial steps standard course is 50 minutes. They studied on how aesthetic can work on our blood, lymph structure and muscles. Base on the human body structure, the movement of lymph vessel and lymph node movement; the facial session is to promote our blood flow and the metabolism. As we all know we need 28 days to renew our skin cell which we called skin turnover period; during this period we need to remove the dead skin cell, promote the growth of new skin cell and replenish nutrient to the cell in order to have a luminous and radiant skin condition. Facial massage that can help to improve blood and lymph flow; promotes the metabolism; improved nutrient flow to the skin and waste elimination function; activates the muscles and provides relaxation by reducing physical and mental stress. 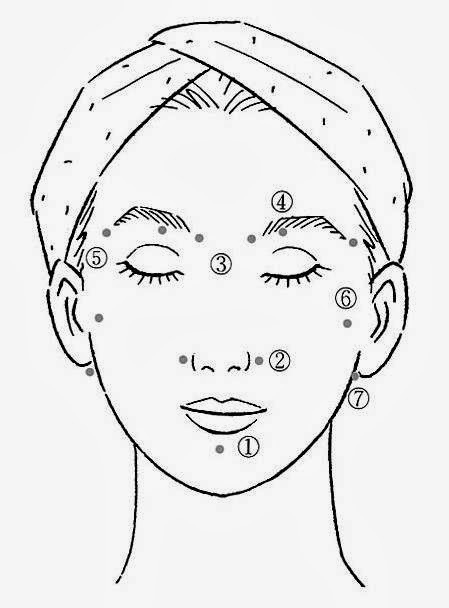 During the massage Menard will also emphasize on Shiatsu points shown below. These key points have individual effects, but are also activated synergistically to improve beauty and provide psychological relaxation. 2) Geikou – Helps open the nasal passages, prevent wrinkle on the month and promotes lymph flow. 3) Sanchiku – Helps ease fatigued eyes. 4) Under the browridge – Helps ease fatigued eyes. 5) Temple – Helps reduce facial swelling. 6) Dental bites – Relaxes fatigue skin, prevent retention. 7) Parotid glads – Removes waste. Prevent water retention. 8) Fuuchi – Help ease fatigue eyes, tight shoulders, and neck’s fatigue. Same time helps relieve headaches, hangover and insufficient sleep. My experience at Menard Facial Salon, I really love the massage steps. The pressure is not too strong or light, it is just perfect for me. Oh yes, at there is no extraction because extraction will caused damage to the skin. So in order to extract out the impurities, blackheads or whiteheads they use vibration and vacuum equipment. I actually fall asleep during my facial because it’s so comfortable and relaxing. After the facial I can see that my skin is more supple, smoother, brighter and glowing, especially the area around my nose feels smoother. Location: Block N-1-6, Plaza Damas, Jalan Sri Hartamas 1, Taman Sri Hartamas, 50480 Kuala Lumpur. 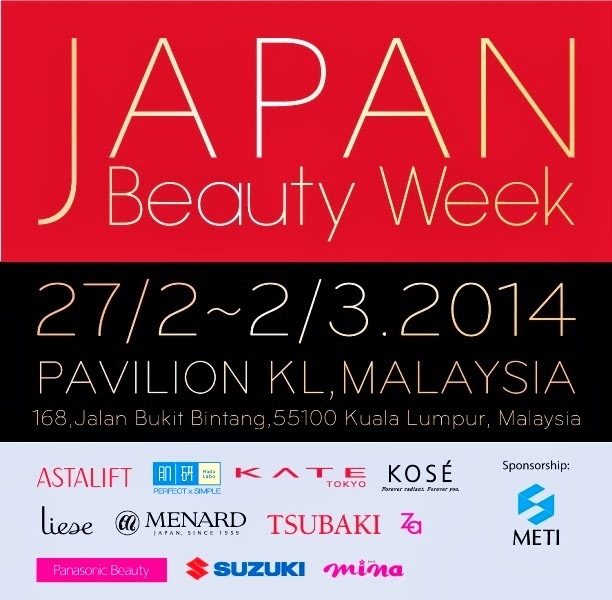 Menard is also one of the participating brands in Japan Beauty Week Kuala Lumpur at Pavilion KL from 27th Feb till 2nd Mac 2014. So do head over to Menard booth for a free skin consultation with the latest Skin Analysis System conduct by Menard's Japanese senior trainers. After the consultation you will receive a special sample set and facial vouchers for your first trial. I will be sharing about my skin analysis results and also my experience / review using Menard Lisciare product during one of the Beauty Talk sesssion on 2nd March at 2.30pm. Hope to see you there.